Meet Michael Rousey. He leads one of the teams that works on development for AA.com. Rousey leads and coaches teams in the Agile and development processes. 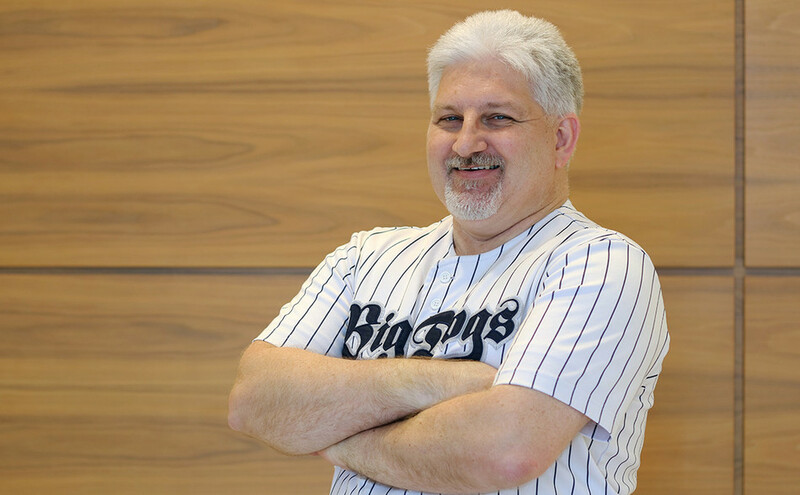 He has worked with Improving CEO, Curtis Hite, for more than 20 years and helped build the foundation for the company we know and love today. "In the early days we had three cubes and that was our office," Rousey shares. "We were kind of mixed in with another company and were only there for a couple weeks when we first started. Then we moved into one room with desks sitting along the wall. It was like the one room school house. When we moved onto the tollway, that was our first real office. We actually had a set of cubes, we had classrooms. That was a big deal. The whole growth process has been exciting." “One of the best things is seeing how Improving has grown over the years. The first Christmas party was very small. And you look at how it’s grown and how much bigger it’s gotten and the things we’ve been able to do. It's just been amazing. I’ve taken a daughter to every Christmas party that we’ve had. Sometimes two." 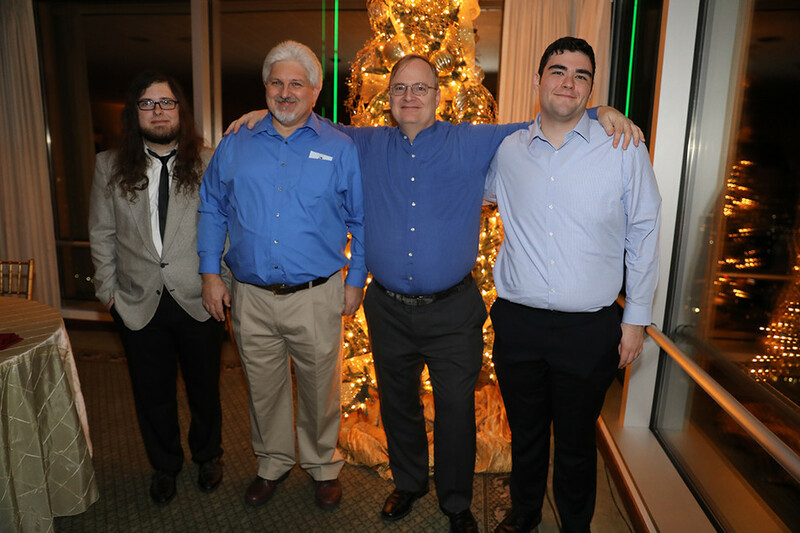 Rousey with fellow Improvers Nick, John and Austin at the 2017 Christmas Party. Rousey has been an Improver from the start, but what made him want to stay? “The standard answer is the people. I wouldn’t be here without the people. I think the other thing is the challenge of going somewhere new and doing something different all the time. Every 6 months to a year you have the opportunity to do something different. Be it a new technology, a new domain or a new area. I’ve done everything from development, to coaching, to TDD, to teaching.